I just watched the best panel discussion on instilling confidence in girls through RPGs. 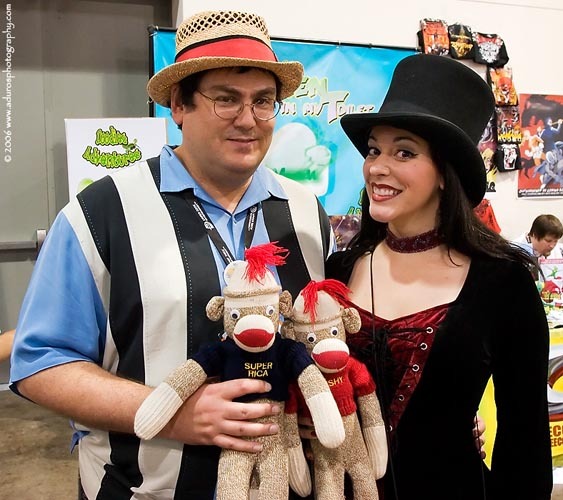 I was at PAX Unplugged here just recently and featured Satine Phoenix, BJ Hensley, Kate Welch, Dr. Megan Connell and moderated by Ethan Schoonover. I could describe it, but it's just better to watch it. I found many, many parallels in what they are talking about here and playing D&D with children with varying stages of Learning Disabilities. As some of you may recall I was running games for a while at my kids' schools. Pathfinder, D&D4 and D&D5. My sons also have a couple groups they run. So I have seen children on different levels of the autistic spectrum, children with full on ADHD and auditory processing disorders. I have seen D&D help them focus, learn coping skills, time management skills and higher order organizational skills. I keep thinking I really should apply my education and those Ph.D.s I worked on to this issue. But in truth I just love to see the kids play and learn. I can leave this in the more than capable hands of Dr. Connell. In case you have been living in a bunker in Mojave, here is the trailer for the newest movie in the DC Cinematic Universe. I think it looks great. First up the sneak peek. I am going to say....dream sequence or Bruce worrying about a future where Superman has gone rogue, but not something that actually happens. Now the trailer. There is more than just a little bit of fan service in this. So I am going to call it. Ben Affleck is going to rock as Batman. He already seems to have Bruce Wayne down and his voice is not Christian Bale's gargling with battery acid and gravel voice. But seriously. Let's take a moment and marvel how FREAKING AWESOME Gal Gadot is looking as Wonder Woman. I am even enjoying Jesse Eisenberg as Lex. I LOVE Bruce's reaction when he says "Lex"...he has nothing but contempt for him. Back in the early 90s "Tales from the Floating Vagabond" was the game that people most wanted to play in my neck of the woods. I knew a guy who had playtested it and could ramble of adventure ideas with the best of them. This is not a post about that game. This is a post about a place very, very, very much like the Floating Vagabond. Think of it as Rifts: Disco. Here are some interviews and other videos with Paul talking about our mutually favorite girl. From 2010, here he is talking about the Zatanna series out then. Here is a review of said comic. Here is one from 2011. Less about Zee, but still some good stuff. And a review of "The" Zatanna episode written by Dini. I don't agree with everything he is saying, but that's cool. Of course here is the birthday boy himself, with his wife Misty Lee. Friday Night Videos: 2,000,000 Other Side fans Can't Be Wrong! Tonight we do a little self-celebrating and mark 2,000,000 hits to the Other Side blog. Yeah I know, a little self-aggrandizing, but hey. I pay the bills here. I have talked about the history of this place before, so no real need to do that again. Let's just get to the videos. I am not 100% sure, but it is likely that the name "The Other Side" came from this Moody Blues song. I had a newspaper article in my school newspaper back in 86-87 named "The Other Side of Life". My first web site was then called The Other Side. Kinda anti-climatic isn't it. But still I like the Blues and this was a good album for 1986. Like the song, thought the video was a little lame. Interestingly enough the next Other Side, my website, came out a little after this Areosmith song did. It was from 1994, the same year I moved to Chicago to work on my Ph.D. I have been a fan of the Red Hot Chili Peppers since "Mother's Milk". The Otherside came out at a very, very weird time for me. I might talk about it sometime. or not. Have not decided yet. Here is a new one for me. Sirenia. I know nothing about Norwegian symphonic metal, but I like the sound of this. It certainly has all the elements of things I like. This video is kinda cool. If I had to be honest. Really honest. Well then I would have to stick with the Moody Blues story above. But I was rewriting my personal story then this is the song that really motivated me to name my lexical outlet to the world then I would have to choose The Doors and "Break on Through (to the Other Side)". Total cheat on the title too. Red Sun Rising is another new band for me. They have this Alice in Chains feel about them that I really enjoy. I heard this one on the radio the other day when trying to come up with tonight's theme. Hope you are all with me for the next 1,000,000 hits. A few documentaries up on Youtube. This one is narrated by Leonard Nimoy. There are some factual errors, but nothing major. This one is from the History Channel. This one covers some similar ground in terms of the Salem Witch trails. Professor Wrightson's Early Modern England: Politics, Religion, and Society under the Tudors and Stuarts (HIST 251) from Open Yale Courses. Just a few I have had playing in the background while working on other things. Edited to add: This one was found by +Joseph Bloch. Anyone that comes here often knows I am a HUGE fan of +melissahunter's Adult Wednesday Addams videos. These skits deal with the trials of Wednesday as she struggles to be a single gal in LA. They are clever, well done and Melissa has Wednesday's sardonic wit down pat. They were a real gem. Hi everyone! Thank you for the outpouring of support and concern about the disappearance of Adult Wednesday Addams from the internet. As many of you have seen, the Tee & Charles Addams Foundation flagged the show and, for now, it is off of YouTube. I am working actively on coming to a resolution and will not let Wednesday be caged in internet purgatory. I appreciate your patience and support while I sort this issue out! Obviously, this is very upsetting that the videos aren't online. Wednesday means so much to me as I know she does to you. Thank you for all of your enthusiasm. Your support every step of the way has meant the world to me. Full Heart, Dead Eyes, Can't Lose. I hope there is a resolution that everyone can agree with. This week I have a special treat. Well at least for me. Tonight features what must be the quintessential videos and songs of what was known as "Sword and Sorcerery Rock". And the lord of all of these was none other than Ronnie James Dio! He fronted Black Sabbath, Rainbow and his own band Dio. He was a rocker and showman and by all accounts a great guy. So here we have some of his most "D&D" songs ever. These were huge inspiration to me in the day and then again later one when I was working on newer games. Man on the Silver Mountain might just be one of the first "Sword and Sorcerery" songs recorded by a "metal" group. Ritchie Blackmore left Deep Purple and after hearing Dio sing wanted him for his new band, Rainbow. Of course the reasons Deep Purple had problems continued to plague Rainbow, but not before we got Man on the Silver Mountain. Dio left Rainbow and about that time Ozzy was kicked out of left Black Sabbath. Heaven and Hell is considered to be one of the penultimate Dio-fronted Black Sabbath songs. Black Sabbath and Dio parted ways, but that gave us one of the best 80s metal bands and early darling of MTV's metal playlist. Many nights when playing D&D we had to stop to watch Holy Diver or The Last in Line. Rainbow in the Dark became something of a theme during my Buffy playtests. I have many times professed my love for +melissahunter's "Adult Wednesday Addams". It is so funny and clever. It should be no surprise or shock that I loved Wednesday. Melissa Hunter takes the Christina Ricci version of Wednesday (which was inspired by Winona Ryder's "Lydia Deetz" from Beetlejuice) and taken her into adulthood. Today's episode (updated every Wednesday!) is fantastic. Though she got a lot of attention recently with her recent "Catcalls" episode. I has gotten 2 million more hits than her other episodes and that is great, but really the other episodes are just as good and need to be watched. Though to be fair none of the others have "Bob". 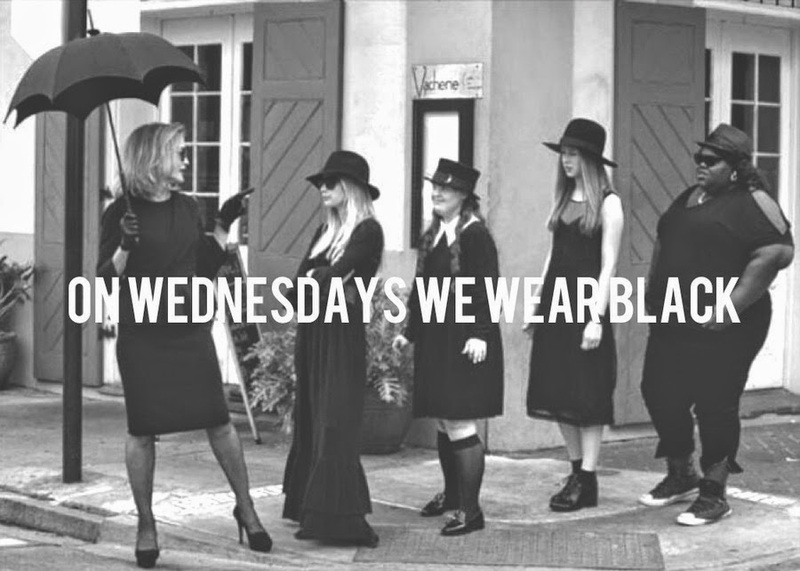 So on Wednesdays we wear black here at the Other Side and celebrate my first true love. Been on YouTube a lot lately; listening to music, watching a lot of videos of a lot of topics. It's been fun. I found a few Zatanna videos out there. If you need some more information on the character then these are worth a watch. Yeah some are a bit annoying, but hey you get what you pay for. First up is a nice history of Zee from ItsSuperEffective. Next is a topic that gets a lot of coverage. Well it does if you are me. Who would win in a fight, Zatanna or Scarlet Witch? ComicBookCast2 asks. I loved seeing all the various Zatanna's on the Animated DC universes. Here is a nice little guide to all her voice actresses. I never watched Smallville, save for a couple of episodes, but here is Zee's introduction on that show. There are some more. But this is a good batch. To celebrate the newest member of the Victorian / Steampunk RPG gaming community I thought some Victorian Chap-hop was in order. Of course I love Victorian games of all sorts. Just love the time period and the endless possibilities. You can have adventure, science, magic, occultism, spiritualism and the entire world is both at your fingertips and still large and mysterious at the same time. So let's open it up with some good old Professor E! +Professor Elemental donning his Fighting Trousers. Professor Elemental might be the first name you think of when it comes to Victorian era chap hop but he is not the only one. So just like Biggie had Tupac, the good Professor has Mr. B the Gentleman Rhymer. I am not sure how one can describe Abney Park. They are steampunk yes. But in more of a Forgotten Futures sort of way. They have their own RPG, Airship Pirates which comes to us from the same people that brought us Victoriana. In fact it even uses the same system as Victoriana 2nd Edition. +Lindsey Stirling might not be the first name you think of when it comes to Steampunk music, but her Roundtable Rival certainly has the right look and feel to it. Plus Lindsey has upped her own geek street cred by providing a song for the Dragon Age soundtrack. So there is that. So here is the girl that my friend Cal refers to as a "magical musical pixie" or how I think a Ghosts of Albion Occult Musician would look. Frankly I think she is amazing. And lastly tonight back to the good Professor to remind us that we can all enjoy different things, but we are all in it together. One of the reasons why many of us in the Victorian RPG community get along so well with each other. We all enjoy each other's games and talk about our favorite bits. Kind of mixing my 80s music mediums here. I am pleased with the reactions I am getting for this feature. I have often joked that my Appendix N consists mostly of 80s music and bad sci-fi movies. I am starting to think I am not the only one! I want to lead of though with this one. I finally found a copy of the intro. Really, could anything be more 80s than this? The 8-bit sounding sound effects. The neon. The lone rocker dude against the world...yeah. So here are some requests I have had since starting this. Have a request? Send it to me. Have a long distance dedication for next week, Valentines Day Weekend? Send that too! Knightsky requested two songs. First up, Chris de Burgh's Don't Pay the Ferryman. Next is Murray Head's One Night in Bangkok from the concept album Chess. Murray Head is also the older brother of Anthony Stewart Head. Rainswept requested Men Without Hats' Safety Dance. While the video is more Ren Faire than it is D&D, I do have some good memories of this one and playing D&D as well. Based on this weeks earlier Sol Invictus post, here is a request. Billy Thorpe's "Children of the Sun"
Might be better for a trippy near future space age game. Or a 70s fueled psychic game.